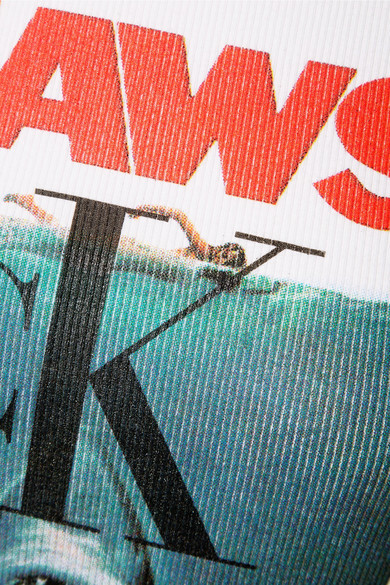 CALVIN KLEIN 205W39NYC's Spring '19 collection pays homage to Steven Spielberg‘s Jaws - the headquarters, where the show was held, commemorated the film with an ocean-inspired backdrop and blood-red runway. 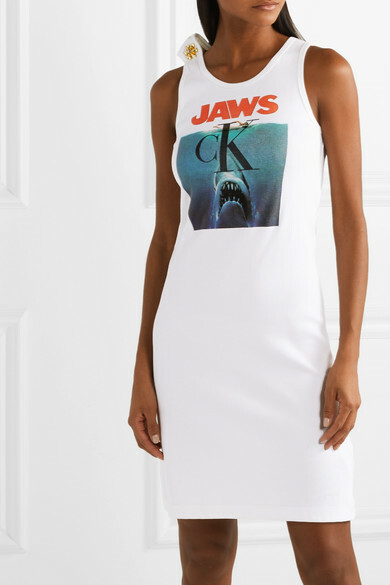 This ribbed stretch-cotton jersey dress is trimmed with a crystal-embellished brooch at one shoulder and printed with the iconic shark. 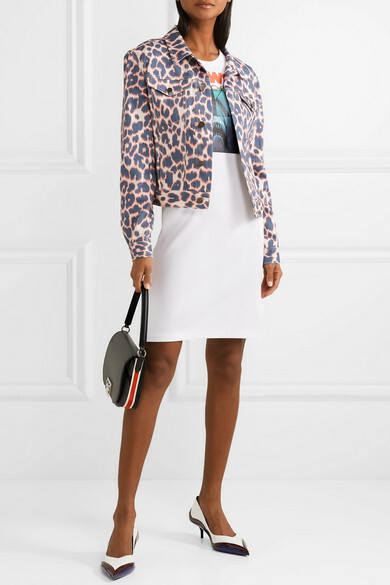 Balance the slim fit by layering it under an oversized blazer or jacket. Outfit 1: CALVIN KLEIN 205W39NYC Shoulder bag, CALVIN KLEIN 205W39NYC Pumps. 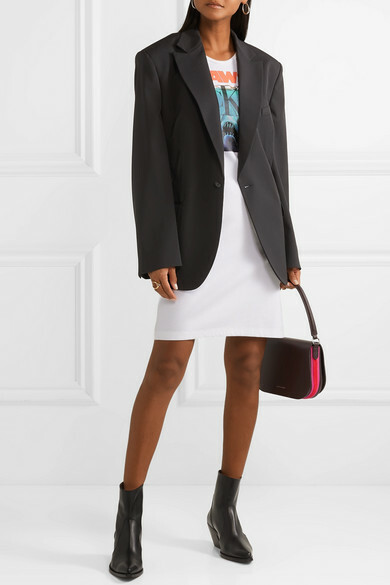 Outfit 2: Maison Margiela Blazer, The Row Sweater, CALVIN KLEIN 205W39NYC Shoulder bag, Givenchy Boots.